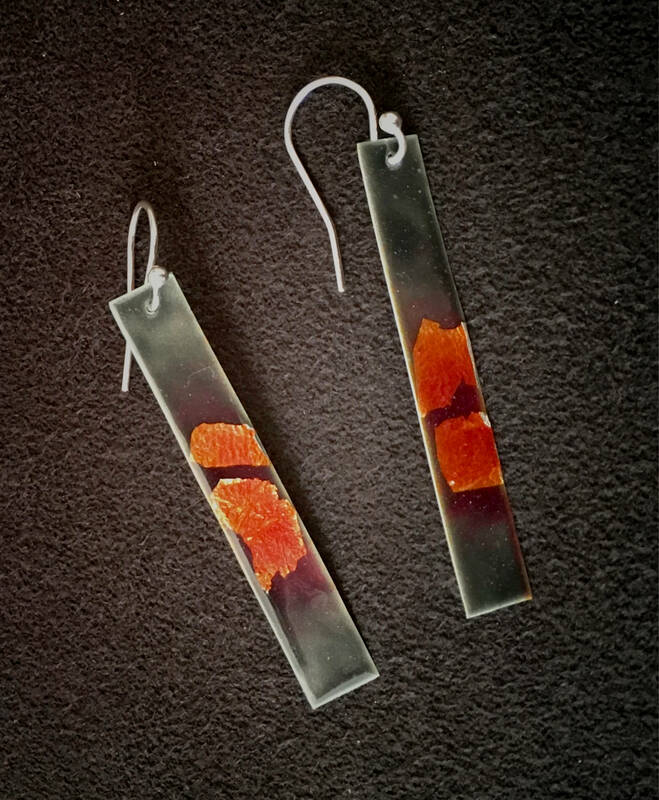 Avant-garde earrings feature Sterling Silver embellished with smoke grey and burnt orange vitreous enamel and fin silver foil. Sterling Silver earwires. Total length approx. 2 1/8"